Use this reading correlation chart to compare reading levels using different reading programs. In just one glace, you can view ages, grades, Learning A-Z, Reading Recovery, DRA, and Lexile levels. 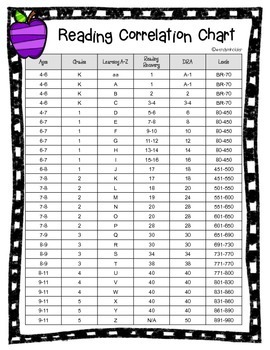 This chart is great for homeschool use as well.